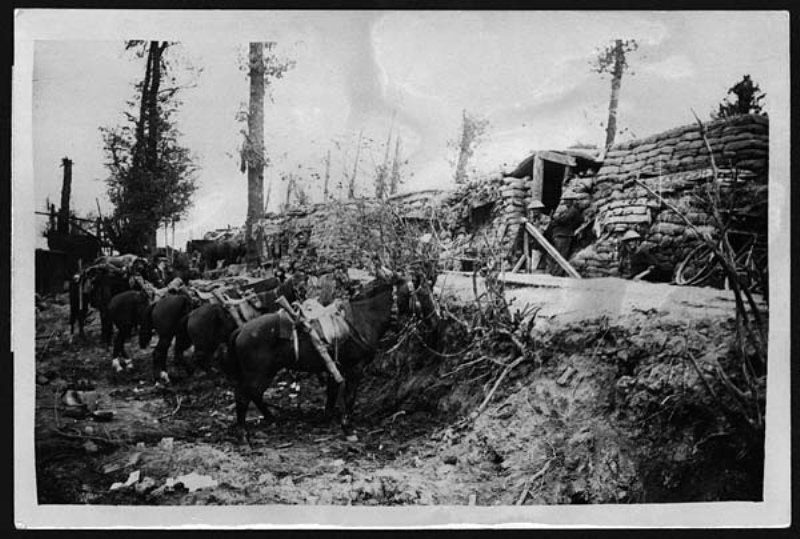 Horses of patrols tethered behind dug-outs in a dip during the Battle of Menin Road, 3rd Ypres. This entry was posted in Ypres and tagged Passchendaele by World War One Historical Assn. Bookmark the permalink.